In March of this year Mary Robinson extended her mandate as United Nations Special Envoy for the Great Lakes region of Africa at the request of United Nations Secretary-General Ban Ki-moon. The Secretary-General has now asked her to relinquish this mandate to accept another - the post of the United Nations Secretary-General’ Special Envoy for Climate Change. There was a degree of urgency in the appointment because of the 2014 Climate Summit which the Secretary-General will host in September with Heads of State and Government, business, civil society amongst those invited to attend. 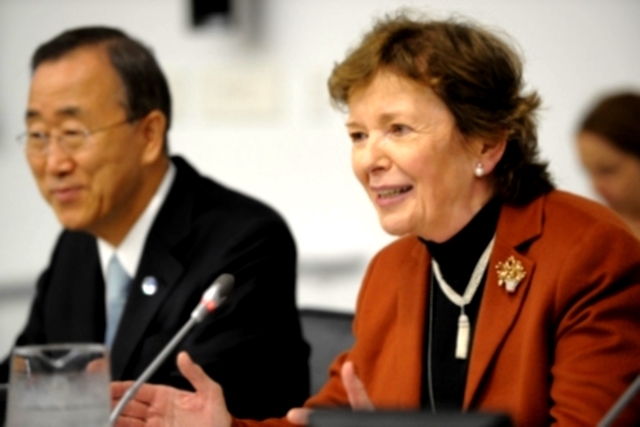 Therefore the Secretary-General asked Mary Robinson to accept the post, with immediate effect, which will continue to the climate talks to be held in Paris in December 2015.